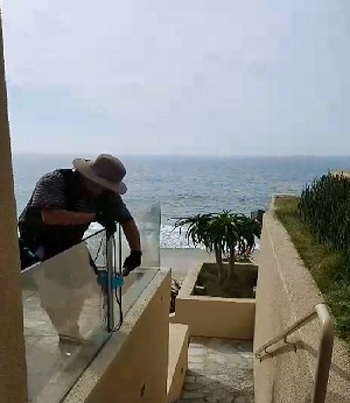 Window Cleaning Orange County, since 1980. 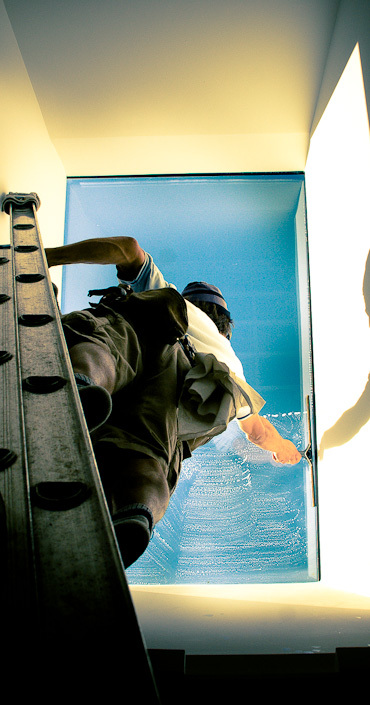 Our family established Sunshine Window Services in 1980. 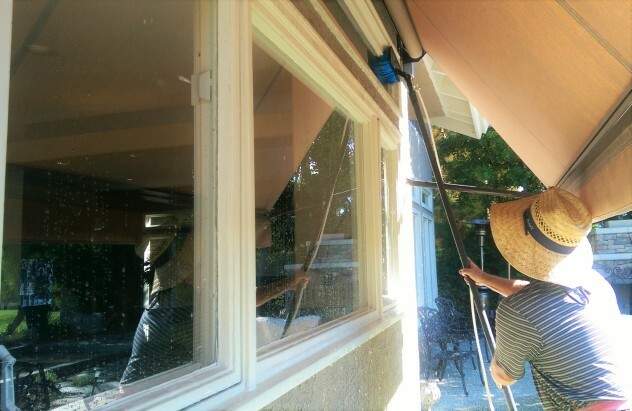 Working from our own home 32 years ago, window cleaning on ground-level storefronts, then on one, two, and three story office buildings,restaurants, banks, churches, schools, and homes we now have hundreds of window cleaning clients in Orange County. We take great pride in our window cleaning and all our work. We use filtered Deionized Water that leaves your windows spotless. We have a $2 million dollar general liability policy. Our service area includes: Aliso Viejo, Anaheim, Anaheim Hills, Balboa, Balboa Island, Brea, Buena Park, Capistrano Beach, Cerritos, Corona Del Mar, Costa Mesa, Coto De Caza, Cypress, Dana Point, Dove Canyon, Foothill Ranch, Fountain Valley, Fullerton, Garden Grove, Huntington Beach, Irvine, Ladera Ranch, Laguna Beach, Laguna Hills, Laguna Niguel, Laguna Woods, La Habra, Lake Forest, Las Flores, Los Alamitos, La Palma, Midway City, Mission Viejo, Newport Beach, Newport Coast, Orange, Placentia, Portola Hills, Rancho Santa Margarita, San Juan Capistrano, Santa Ana, San Clemente, Silverado Canyon, Stanton, Seal Beach, Silverado Canyon, Sunset Beach, Talega, Trabuco Canyon, Tustin, Tustin Ranch, Villa Park, Westminster, Yorba Linda. Zip Codes served include: 90620, 90621, 90622, 90623, 90624, 90631, 90632, 90633, 90720, 90721, 92602, 92603, 92604, 92605, 92606, 92607, 92609, 92610, 92612, 92614, 92615, 92616, 92617, 92618, 92619, 92620, 92623, 92625, 92626, 92627, 92628, 92630, 92637, 92646, 92647, 92648, 92649, 92650, 92653, 92654, 92656, 92657, 92658, 92659, 92660, 92661, 92662, 92663, 92677, 92678, 92679, 92688, 92694, 92697, 92698, 92701, 92702, 92703, 92704, 92705, 92706, 92708, 92709, 92710, 92711, 92712, 92725, 92728, 92735, 92780, 92781, 92782, 92799, 92801, 92802, 92803, 92804, 92805, 92806, 92807, 92808, 92809, 92812, 92814, 92815, 92816, 92817, 92821, 92822, 92823, 92825, 92831, 92832, 92833, 92834, 92835, 92836, 92837, 92838, 92850, 92856, 92857, 92859, 92861, 92862, 92863, 92864, 92865, 92866, 92867, 92868, 92869, 92870, 92871, 92885, 92886, 92887, 92899. Wow. I was amazed when sunshine windows came to clean my windows and glass railings to my house! No spots and they did such a professional job. THANK YOU! Out of all the window cleaners I’ve had over the years , Sunshine Windows for sure tops all in Orange County. Easy appointment set up, he was on time and i was surprised on his quick set up. Windows looked awesome ! … Even through the rain we had ! I now have my windows cleaned twice a year 🙂 Thank you!